About Us (OLD) | Accreditation Services Inc.
We specializes in providing ASCs and OBSCs quality development, management and consulting services. Our team has a proven track record over 11 years and 120 different facilities. You’ll work directly with the principals of the Company through the entire accreditation process, from blueprints and space review to your final inspection. We will ensure that your center is developed in the least amount of time, decreasing your costs and getting you to cash flow. Our history: ASI is a dedicated team of consultants and health care professionals that specialize in one thing – the accreditation of ambulatory surgical centers. Our only focus is working with surgical centers to prepare for licensure, accreditation and/or Medicare certification. The ASI team have backgrounds in nursing, management and development. Our mission is to provide the best possible service, support, at the lowest cost and with the highest level of quality attainable. Client satisfaction is of primary concern and you can always be assured that ASI will always meet, if not exceed, your expectations. We excel at fast turnaround without sacrificing quality. ASI was formed by Tamar Glaser, RN in 2001. Working with over 120 surgical centers in the United States, Tamar has demonstrated an exceptional ability to organize and manage the complicated accreditation and inspection process. Ms. Glaser is also an accreditation surveyor who is familiar with, and up-to-date on, Medicare and Accreditation standards and methods of preparation for the on-site surveys. 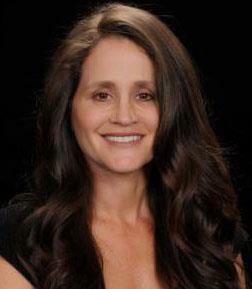 In addition, Tamar is a member of the AAAASF infection control task force and a delegate for the AORN. Accreditation software. We can also work with you to implement AccredAbility, a comprehensive accreditation tracking and reporting tool developed by our CEO (Tamar Glaser, RN). Specialty Outpatient Surgery Center Inc.